The slow and steady electronification of municipal debt trading processes has certainly had a very positive impact in the execution of fixed-income trades and bring significant efficiencies for both buyers and sellers. Inarguably, where these inefficiencies were filled by the new technology, there has been an introduction of new processes to further enhance the platforms for investors. Predominantly, in fixed-income markets, investors always seek larger inventories (bigger selection) of securities, better pricing and, consequently, liquidity to transact in these securities with ease. The liquidity of fixed-income markets is primarily determined by the selection size, number of bids and asks, the spread between the bid and ask prices, and the overall speed of transaction execution. It seems that with the new tools and electronic platforms, liquidity can improve and, ultimately, benefit the investors. In this article, we’ll take a closer look at new online platforms & processes in bond trading, how they differ from the traditional trading platforms, and their overall impact on investors. We’ll also examine the need for enhanced regulations to protect fixed-income investors. Where manual trading of equities has almost disappeared and the majority of transactions occur on some kind of an online platform, the fixed-income markets have yet to make a predominant transition to online systems for its trading. In the corporate bond trading market, almost 80% of securities trade over the phone. In recent years, e-trading platforms have proven to be very effective over the old-school, voice-based dealer order taking system. The rise of electronic platforms have brought on efficiencies for various market participants, thus, lowering the transaction cost for investors. E-trading platforms have been instrumental for broker-dealers and their internal operations. Where the investment bank typically serves as a market maker for muni-bond transactions, security dealers serve as the mediator for the end investors. 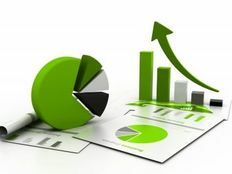 Through the utilization of e-trading platforms, dealers have been able to monitor the trading behaviors of their clients along with the ability to generate better responses to a particular investor query for specific securities based on previous data. This has also brought significant efficiencies in the internal flows of a transaction between the trading desks, dealer and the investor, further limiting the need for building huge bond inventories. Be sure to check the basics of muni e-trading platforms here. As mentioned earlier, further enhancements to e-trading platforms can be vital towards making fixed-income trading even more liquid and beneficial for the investor. In all-to-all trading system, all parties involved in the trading would come together into the trading platform. What this means is that there could be multiple parties from both the buy-side and the sell-side. All the concerned parties can be brought into a single platform to establish RFQ (Request for Quote) from multiple dealers. This change would move beyond the simple “Dealer-to-Customer” or “Dealer-to-Dealer” transactions. This process has been introduced to various new trading startup venues for fixed-income trading strategies and has been successful in creating high volumes of trading activity. Some market participants have indicated that this has caused the demise of “phone-based support of dealers,” which may not be entirely true. The algorithms in e-trading platforms and processes like all-in-all are there to accentuate the trading processes, eliminate redundancies, and serve a “value-added” purpose. The old processes and phone-based trading/support is still essential for investors, especially amongst the market-makers and dealers. Post 2008 financial crisis, investors have been skeptical with the illiquid nature of certain securities and fixed-income markets in general, compared to equity or foreign exchange markets. During and post the financial crisis, several investors struggled to get rid of their investments, potentially due to the inability to facilitate a transaction in a timely manner. The surge of new startups in the municipal trading arena are starting to change that by bringing efficiency and improving market liquidity to earn back the lost investor trust. There have been new startup trading platforms such as MarketAxess that have gained plenty of attention and increased trading volumes through its all-to-all open trading platform for U.S. muni bonds. This has also caused bigger banks (wealth management firms) to drop their large inventory of fixed-income securities because the e-trading platforms have streamlined the process of requesting a quote from a broker dealer. Consider another scenario for a big investment bank. Pushed hard by falling bond trading revenues, Goldman Sachs realized the benefits of computerized algorithms last year to cut costs and extend the benefit to corporate bond investors. Although, no one startup can tackle the liquidity issue in fixed-income markets due to the sheer volume of trading. Startups can only have a smaller piece of the market. However, it is quite likely that more new platforms and the “buy in” from old institutions will make a significant difference to this trend. On another note, investors and dealers put a huge emphasis on human touch in fixed-income trading, involving relationships, new issue information, potential work-ups, etc., that an online algorithm or platform can’t provide. Although this slows down the transition process from the offline to the online mode, it highlights the importance of the traditional security trading process that is unlikely to disappear completely in the near future. Low operating history: New e-trading systems must be tested and closely monitored for their liquidity claims and overall market quality. 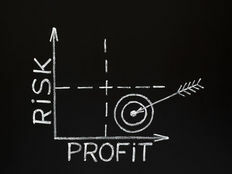 Risk management policy: There needs to be proper oversight for risk-management through the online channels from the point of view of market-makers, dealers and investors. 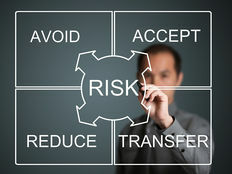 Standard operating procedures: New guidelines and best practices will need to come into play with e-trading platforms. E-trading technologies and various new processes have been instrumental in adding significant value in the fixed-income trading and transaction executions. In addition to improving market efficiency and cutting down redundancies, these platforms have had an overall positive impact on the market quality. In this transitional phase of fixed-income markets, there is a strong need for internal controls for new e-platforms, transparency and regulatory reform to protect the investors.